Diagnosed with cancer, an aging cabbie sets off to reunite with his estranged son. 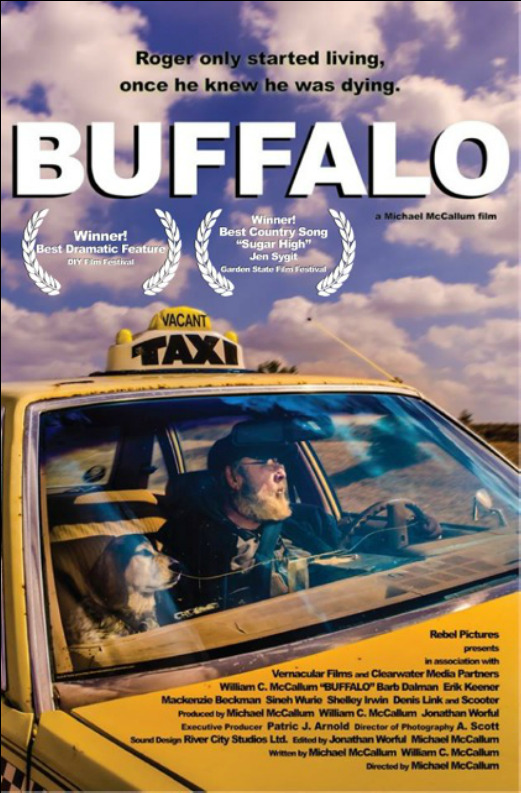 "The emphasis on simple human kindness rather than melodrama, make Buffalo a feel good gem. Now, if you’ll excuse me, I have to go: I think I have something in my eye…." The reversal of a coming of age story, Buffalo joins the ornery ranks of About Schmidt, Wonder Boys and, erm, A Walk in the Woods; character driven films which take as their subject the encroaching old age or, in this case, death of its lead, cleaving emotional drama from the protagonist’s reflections on his lot and last chance at redemption. An anti-bildungsroman (gebildetsroman? 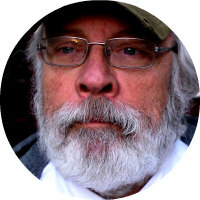 ), the hero’s approbation at the world whirling incomprehensibly about him is ultimately ameliorated by hard won wisdom and acceptance of the incipient change which is shuffling him into irrelevance… with, you know, hopefully a few jokes along the way. All too often, this sort of film has ambitions no bigger than making you cry: the balance of genuine insight and sentimentality is a pretty difficult trick to pull off, after all, but nonetheless it is one that Buffalo manages with panache. The dignified tone is set early on, with lead Roger (co-writer, producer, star William McCallum, directed by his son Michael, in one of the most eminently watchable performances I’ve seen all year) receiving a terminal lung cancer diagnosis, communicated to us via a series of doctors’ voiceovers and flashbacks. Like its central character, the film doesn’t wallow in the awful drama of such a situation, but instead quietly expresses the character’s reaction, a numb, helpless frustration that quietly convinces. It is this sort of elegant storytelling that proceeds to characterise this deeply moving and, yes, hugely entertaining film. The emotive nature of Buffalo is balanced by its entertaining invocation of taxi life. I loved the naturalistic scenes of Roger’s workmates in the cab office, the foul mouthed camaraderie and genial banter, headed up by his no nonsense boss (Shelley Irwin, excellently hard nosed), and the intriguing narrative insights into cabbie politics: apparently it’s a massive faux pas to get robbed, and when Roger’s apprentice gets jacked, Roger turns the social ignominy to his advantage. The streets of Lansing, within their beautiful and bleak East Side setting, add authenticity too, as does the lived in performance of McCallum. Ok, Buffalo does yank at the heartstrings a little too hard at times - every person who bundles into the back of Roger’s cab seems to have some convenient emotional baggage that Roger can rummage through and rearrange, for instance. But the gentle poise of Roger, and the emphasis on simple human kindness rather than melodrama, make Buffalo a feel good gem. Now, if you’ll excuse me, I have to go: I think I have something in my eye….